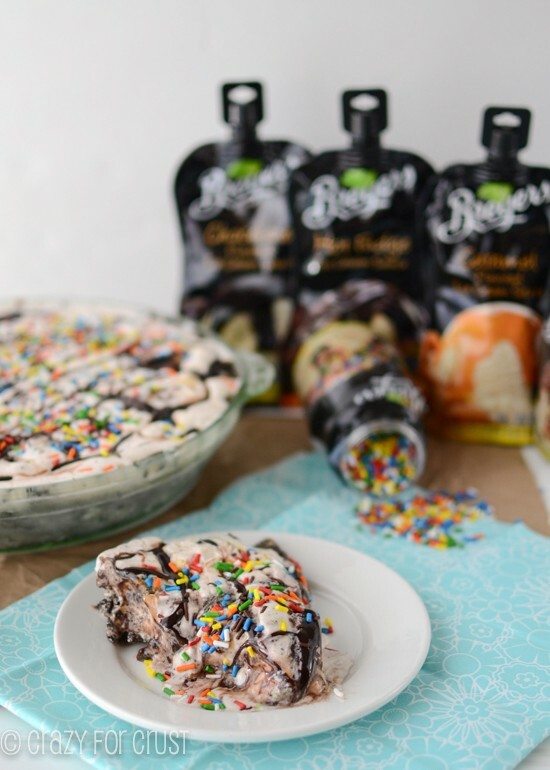 Thanks to Breyers, I was able to make this amazing Seven Layer Ice Cream Pie for you! 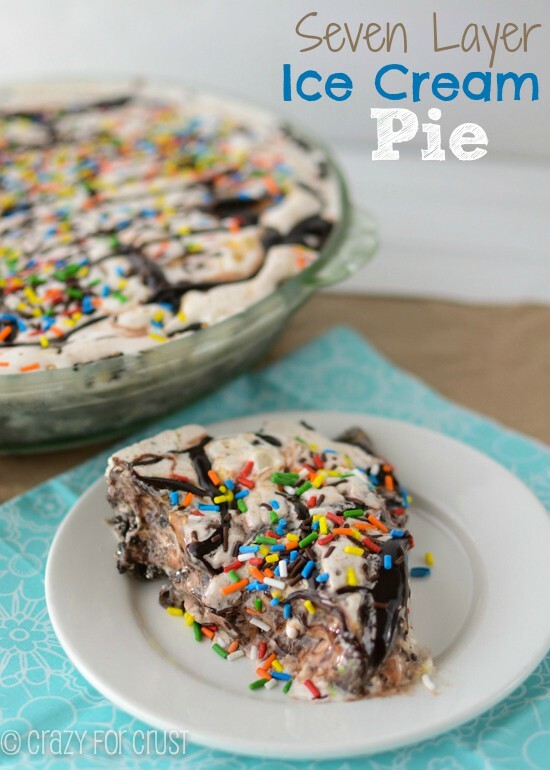 Hot Fudge, Caramel, Chocolate Sauce, Ice Cream and a to-die-for crust…this Ice Cream Pie will blow your mind! Seriously, this is the BEST ice cream pie I’ve ever had. It’s the best one I’ve ever made. Like, we devoured it (even my husband!) in three days. Kidding. It’s not fat-free. 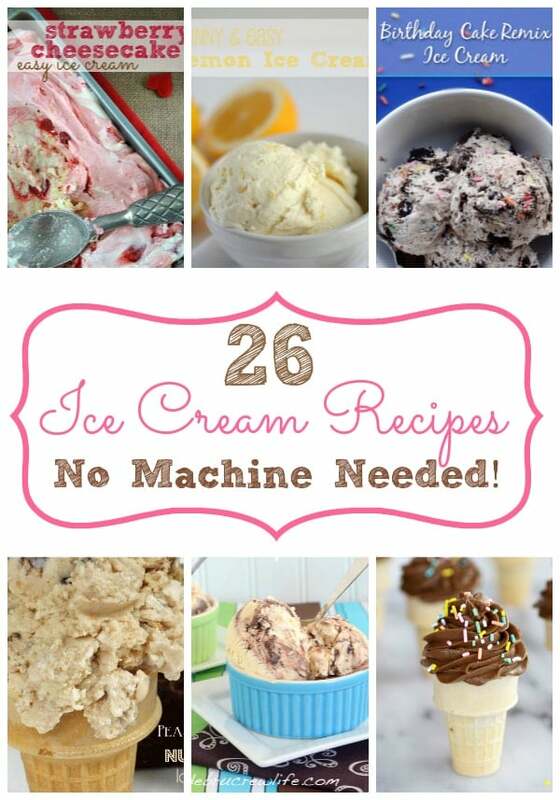 But the ice cream I used was! That means something, right? Vanilla Peanut Butter Hot Fudge Oreo Ice Cream Pie with a Oreo Pretzel Crust and Chocolate Caramel Sprinkle Swirl. 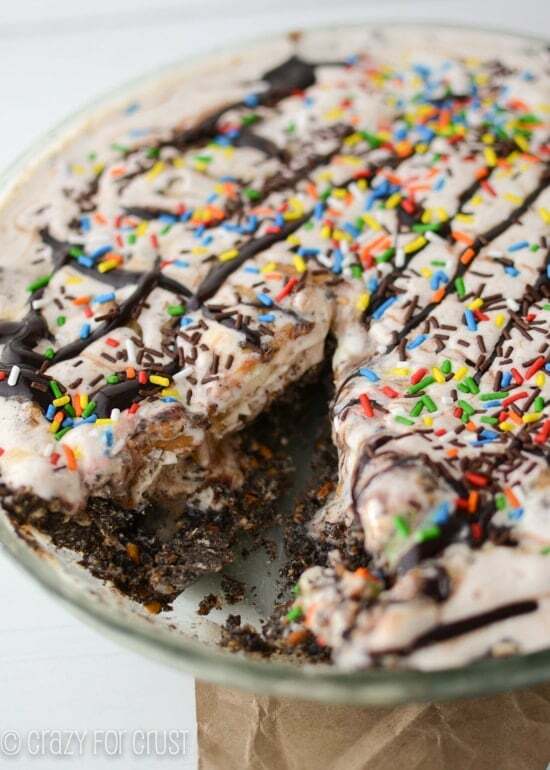 That last one seemed like too much of a mouthful, so I settled on Seven Layer Ice Cream Pie. We’ll get into the layers in a minute. Let’s talk crust first. I love me some crust (obvi). I’ve even created a few crusts that I really love. This one? This one takes the cake pie. It’s Oreo crumbs mixed with pretzel crumbs. Because when you’re indecisive, why not have both? Have you ever eaten an Oreo with a pretzel? I haven’t. But now I’m going to. Because OMG Oreo + Pretzel = party in your mouth. 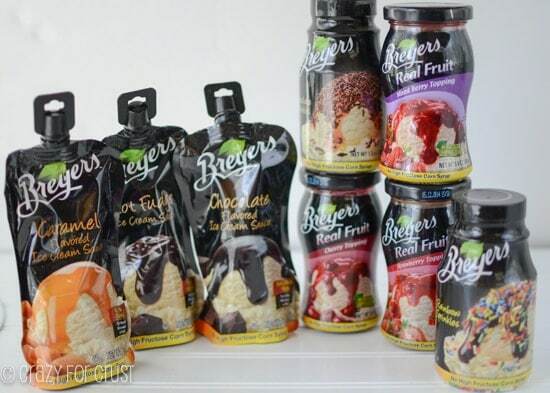 Breyers has a whole new line of ice cream sundae toppings. They have every flavor you’d want to make your ice cream speak to you: hot fudge, caramel, chocolate sauce, three fruit flavors, and sprinkles. Of course, sprinkles. They’re the best part! These new ice cream toppings have no high-fructose corn syrup and the sauces come in microwaveable pouches for easy serving. The fruit toppings are made with real fruit and have no artificial flavors or colors. They’re all really, really good. My husband saw the pouches and told me to hide them from him. He eats a cup of fat-free Breyers ice cream every night on the weekends. I had to stop buying chocolate sauce because it was disappearing faster than the peanut butter. Oh, yeah. Did I mention there is peanut butter in this pie too? Okay, let’s run down the seven layers, mmkay? I still want too. But it’s all gone. Luckily I still have ice cream toppings left. It’s too bad I can’t face plant onto a computer screen. That might hurt, but if it would mean I could taste this pie again, I might try it. I apologize for all the drool on your keyboard. Make this pie. You won’t be sorry. 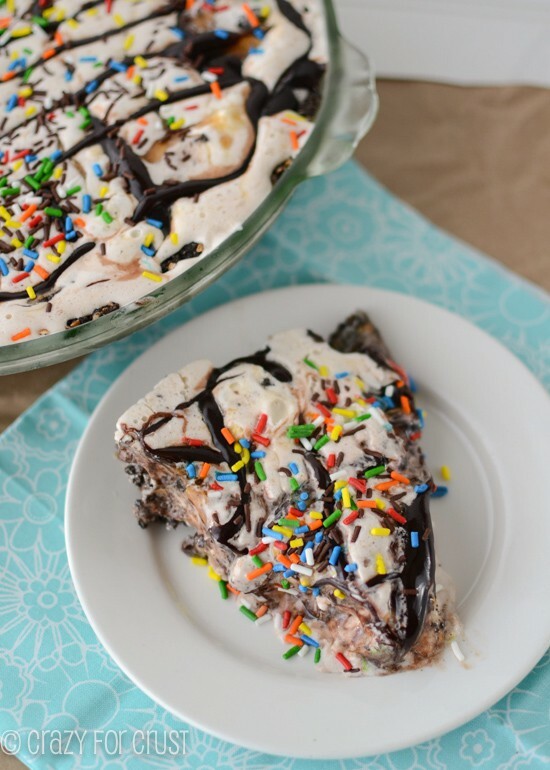 This seven layer ice cream pie has an Oreo pretzel crust and is filled with ice cream, chocolate, and caramel! 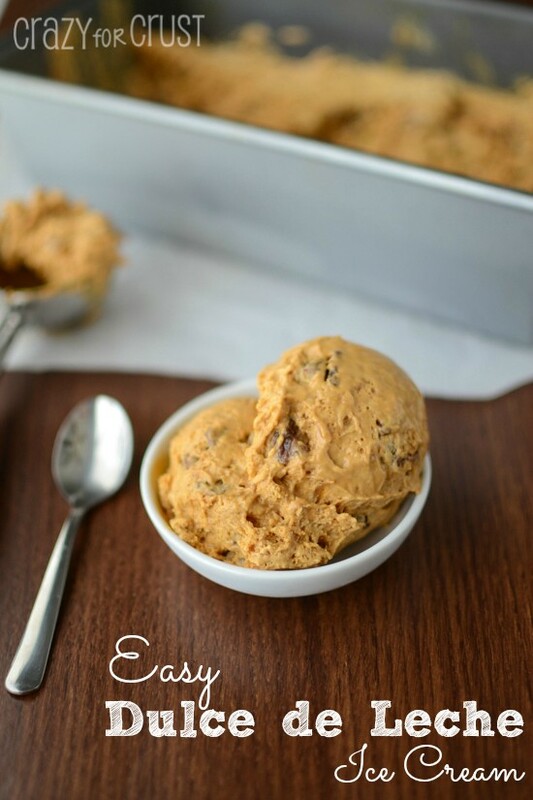 Remove ice cream from freezer to get soft enough to stir while you make the crust. Pulse 16 Oreo cookies in a food processor until only fine crumbs remain. Place in a medium bowl. 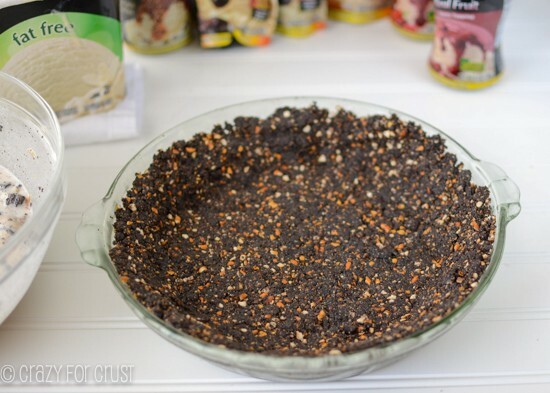 Add pretzels to the food processor and pulse until there are only small pieces, add to Oreo crumbs. Stir in melted butter with a fork. Press into the bottom and up the sides of a 9.5” or 10” pie plate. 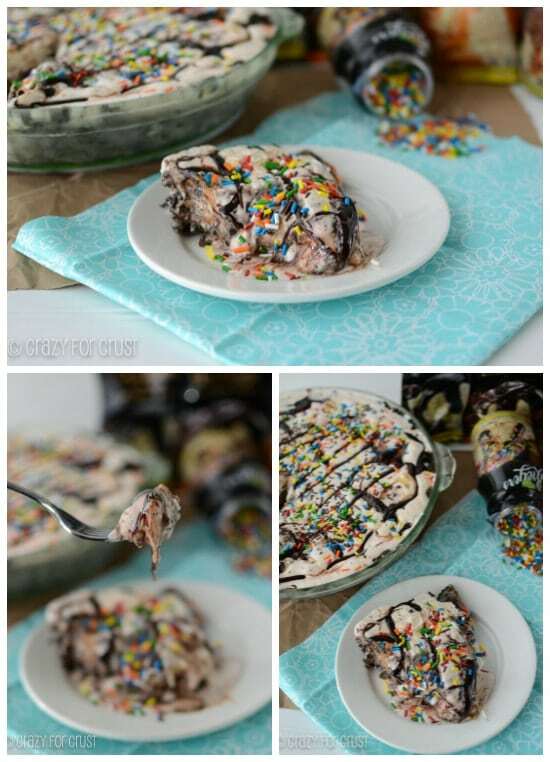 (If you are using a 9” pie plate, you can use all the crust (it will be thicker) but you won’t be able to fit the entire container of ice cream, so use about 3/4 of the container.) Freeze crust until ready to fill. Breyers provided me with their ice cream toppings to try and sponsored this post, but all opinions are 100% my own. I mean, it’s ice cream. Who doesn’t love it?